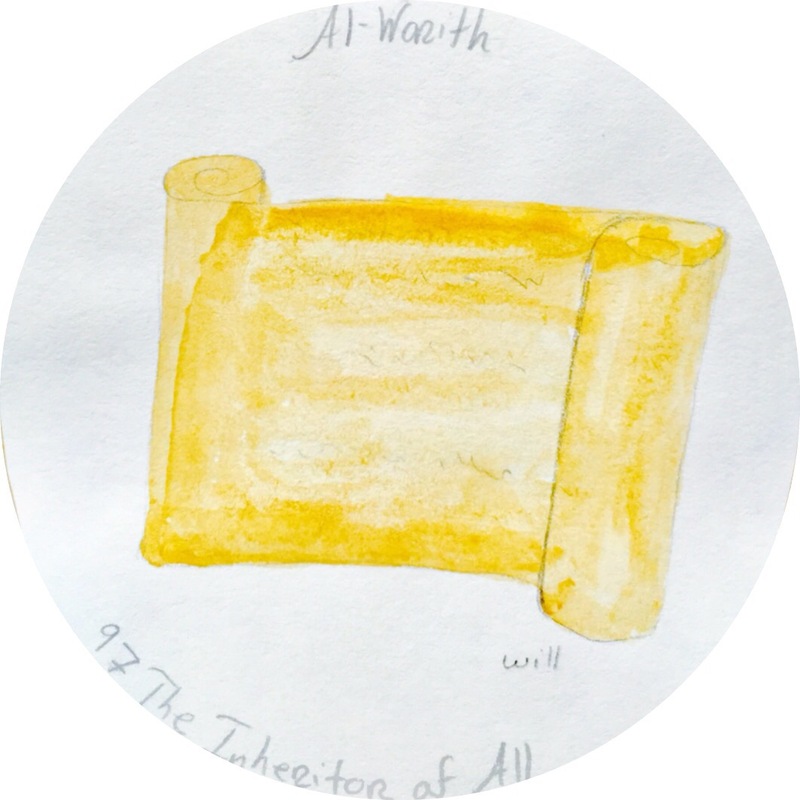 This is the ninety seventh part of our series on the 99 Names of Allah (s) for children. Please see Physicians of the Heart: A Sufi View of the Ninety-Nine Names of Allah for more information about each name in this project if you would like to know more. The name Warith can mean that everything will return to Allah (s). For this name we have illustrated a parchment upon which an individual can write their will or decide who will inherit their material possessions after they die. We use this illustration to suggest that Allah (s) is the true inheritor. For the purposes of this lesson it may be helpful to play Surah Nisa and review the themes of inheritance and you can also see our lesson plan for this Surah 4. Illuminated Quran: The Women. What does it mean to inherit? What happens to our material possessions after we die? Does the Quran tell us how inheritance should work in dunya?